“Converts to early Mormonism…did not join the Church because of the doctrines that were taught. “As James Allen has outlined, early converts would not have had to alter their theology in order to join the Church. If belief in the Book of Mormon was a pre-requisite to joining the Church, it was a belief in the book’s divine origin rather than in the doctrinal content of the book. The Book of Mormon taught nothing different from what early 19th-century religious seekers would have already been familiar with. Widmer notes that early on, Joseph Smith mainly used biblical texts for “sermons and doctrinal exposition,” and used the Book of Mormon “sparingly,” suggesting that “Smith’s theological convictions were rooted in the biblical literalism of the day” (27). In his essay, “The Earliest Mormon Concept of God,” Dan Vogel notes that due to the “ambiguity” of the founding document of the Mormon Church (“Articles and Covenants,” June 1830) “many outsiders concluded that the Mormon view of God was similar to orthodox Trinitarian creeds” (Line Upon Line, 17). 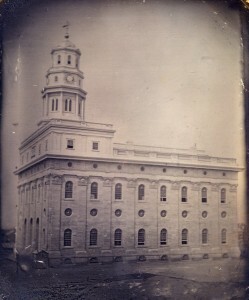 “When Joseph Smith was preparing to publish a second edition of the Book of Mormon in 1837, he revised several passages to reflect this new understanding of the Godhead… By the 1840s the Mormon concept of the Godhead had developed to a clearly defined tritheistic (literally, ‘three gods’) position” (Line Upon Line, 27). 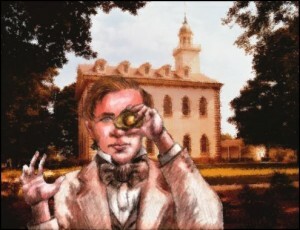 Little by little the theology of Mormonism shifted away from what initially appeared to be familiar Christian theology. In April 1844 Joseph Smith preached the King Follett Discourse in which he taught radical ideas about God. These teachings included that God the Father had once been a man, who lived on another earth, who progressed to Godhood, who was but one of a council of Gods, who invites human beings to become Gods like himself. Even some of Joseph Smith’s followers found the sermon troubling. 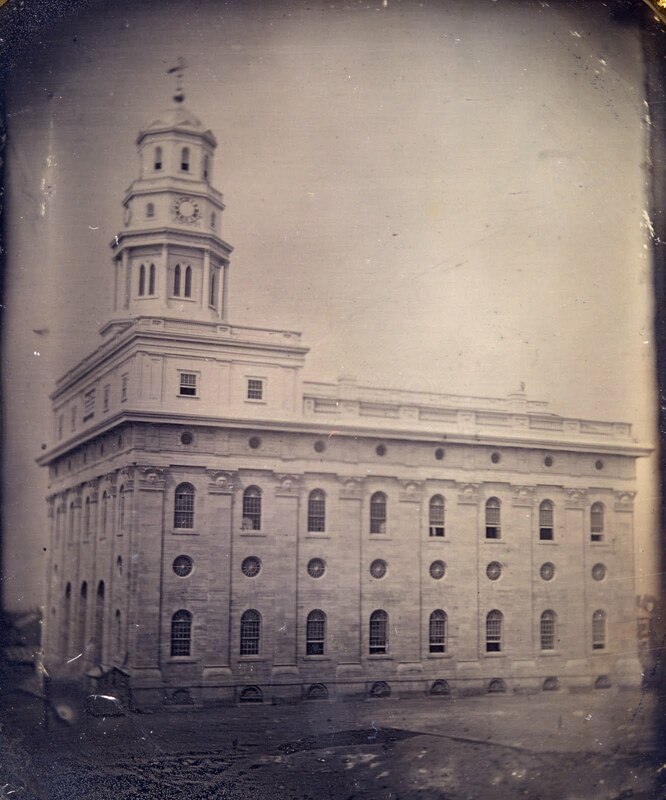 In Kurt Widmer’s opinion, it was the teachings in the King Follett Discourse that led directly to the publication of the dissenting newspaper, the Nauvoo Expositor — which Joseph Smith quickly condemned and destroyed. After the death of Joseph Smith, the Mormons moved west under the leadership of Brigham Young — where Young introduced, among other things, a new theology that declared Adam (who was in the Garden of Eden) was God. 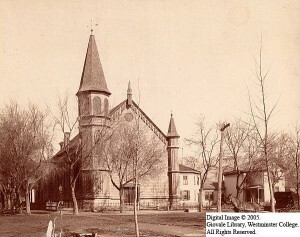 According to Widmer, “The Adam-God doctrine appears to have been the dominant Mormon theological position on the godhead during the latter half of the 19th century” (131). This entry was posted in Early Mormonism, God the Father and tagged Brigham Young, Joseph Smith, King Follett Discourse, Mormon History, Nature of God, Robert Millet. Bookmark the permalink. Kudos Sharon! This article gave me a burning in the bosom. I assume, therefore, what you have written here is true. This of course is my favorite subject when dealing with Mormonism; the evolving doctrine of the Mormon doctrine of the nature of God. In surfer dude lingo, Joseph Smith caught a wave in Nauvoo and Mormonism has been riding it ever since. That wave was his joy, “inspiration” and just plain fun in religious speculation and creativity. That reflects the era in which Mormonism grew. Not only was it a time of great evangelical revivalism but it was also a time of religious/spiritual speculation. There were all kinds of thoughts floating through the environment in the area that Smith called home. One such thought was that the Indians were a lost tribe of Hebrews. I think I’m quoting Grant Palmer right when he said that when it came to the BoM, for example, Smith got 25% from the Bible, 25% of evangelical Christian revivalism, 25% from his own creativity and the last 25% from ideas that “were in the air”, “in the environment”. I would guess this would include the book “A View of the Hebrews”. Mormonism has something called “progressive revelation” which means that you can change basic doctrine, walk things back, reload and actually participate in vain speculation with no penalty or sanction. It just means the prophet just got a new revelation and isn’t it exciting? No, Mormonism left the Christian mold when Smith caught his wave. It’s been a thrill packed ride for Mormonism ever since. I’m wondering if he also had in mind some of his leadership when he stated , “one another ” ? Are they innocent of any attacking ? That is an interesting comment. As has been pointed out numerous times on this blog, the whole point of Mormonism in its formative years was to attack Christianity. Even that little play they use to do in the temple showed the devil seducing the Christian preacher. I believe that modern era Mormons thought better of it and dropped that portion of the drama. Also, pointing out how Mormonism deviates from normative Christianity is not an attack. Would that Mormons were so up front regarding their “unique” doctrine that they would be straight forward regarding what they believe. I guess that with all of the fits and starts and zigs and zags in Mormonism that the Mormon god didn’t see fit to give Joseph Smith and subsequent Mormons the full restored gospel. As it is, the Mormon god seems to have given the Mormon prophets some trial balloons and then later shoot them out of the air. Mormonism is a man-made religion not based on Scripture and certainly not divine revelation. that polygamy was clearly acknowledged and taught publically by Pres. Young in Utah . Adam came to this earth from another earth. At Church today a baby was baptized. I won’t get into the theology for or against that practice (I can go either way) but we recited the Apostle’s Creed. The pastor prefaced the recitation by saying that the creed was not Scripture. He explained the creed was a way that the early church used to clearly articulate basic doctrine and to identify heresy. Now Mormons get all wound up over “creeds” however have they ever stopped to consider that the creeds are really “revelation”? I’ve also pointed out previously that Mormons need to think of the various councils that occurred up to about 400 AD as “general conference”. OK, that last part is somewhat tongue in cheek. However the creeds do reflect the revelation of Jesus Christ as articulated in Scripture. Notice that the main elements of Christianity haven’t changed. Mormon doctrine has changed significantly since it’s inception and the various sects of Mormonism have significant differences relative to very basic (doctrines) such as the nature of God. Really what Mormons need to consider is, “Who is God?” Answering that one question correctly will set them on the pathway to eternal life, if they answer it correctly.